We’ve all had it happen: You feel a surprise itch, and when you reach down to scratch your skin feels rough and bumpy. You look in the mirror and see a red, irritated patch. Although they can be incredibly annoying, red, itchy, bumpy rashes are very common. But what causes your skin to break out like that? Acne, sometimes called pimples or zits, happens when dirt, oil, sweat, and dead skin cells block pores. The blockage can become compressed and hard, forming blackheads or whiteheads. Bacteria trapped in the pore cause a small infection, filling the pore with pus and making the surrounding skin red, swollen and painful. 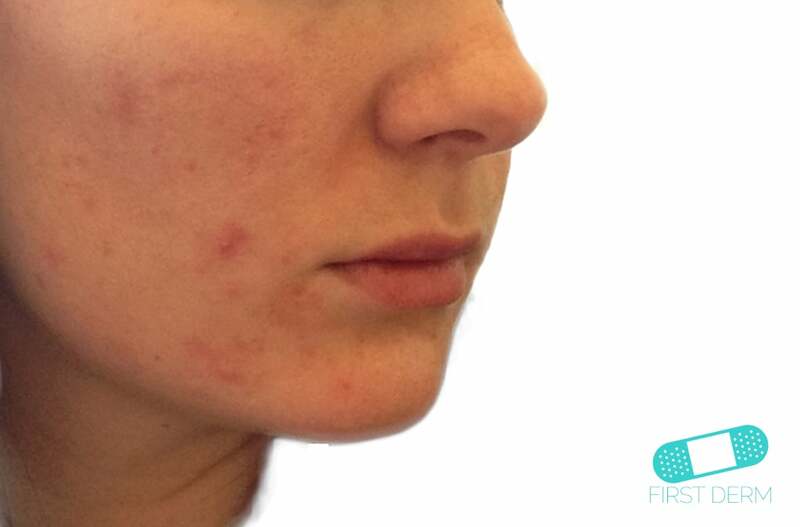 Acne is the most common skin condition and happens most often during adolescence, when surging hormones stimulate the production of oil and sweat. It usually occurs on the face, but can be found on the neck, chest, back, groin, or shoulders. It’s not a serious condition, but heavy acne can be embarrassing and scratching can cause scarring. There are many over-the-counter medications for treating acne containing benzoyl peroxide or salicylic acid. These ingredients can help remove bacteria and stop pores from becoming clogged. However, if those medications are ineffective, a dermatologist can provide stronger treatments to heal existing acne and prevent future breakouts. Eczema is a skin condition that causes patches of dry, red skin that are very itchy. 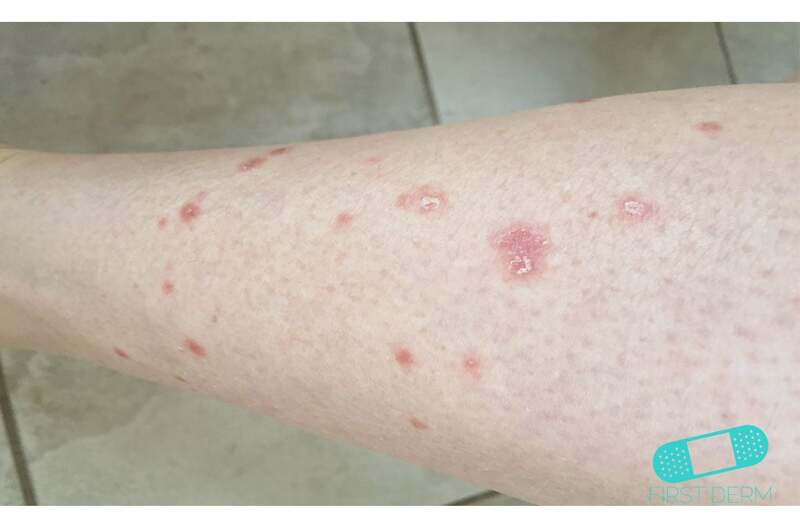 In some people eczema patches look rough or scaly. It’s common in babies and young children, especially on the cheeks or in folds of the skin such as behind the knees. Most children outgrow eczema, but sometimes it first appears or sticks around into adulthood. Eczema needs to be diagnosed by a doctor but can usually be treated at home. For most people, eczema is exacerbated by triggers, or things in the environment that cause the skin to react. 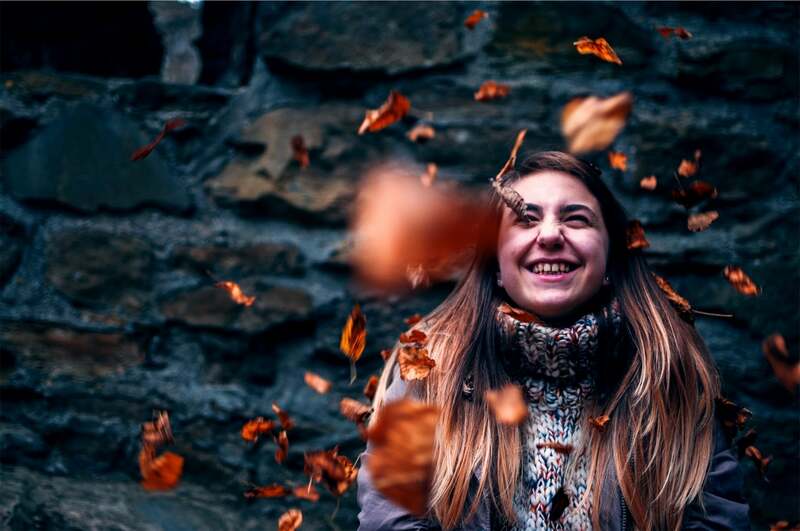 Dry air or skin is often a trigger; keeping the skin well-moisturized and using a humidifier can help a great deal. For other people irritants or mild allergies can cause eczema rashes to appear. Eczema can even be set off by stress or hormones. Treatment involves avoiding triggers and irritating chemicals or clothing, taking lukewarm showers, and keeping the skin well-hydrated. If symptoms persist, a dermatologist can prescribe steroid creams or even phototherapy, which uses UV light to reduce the itch. 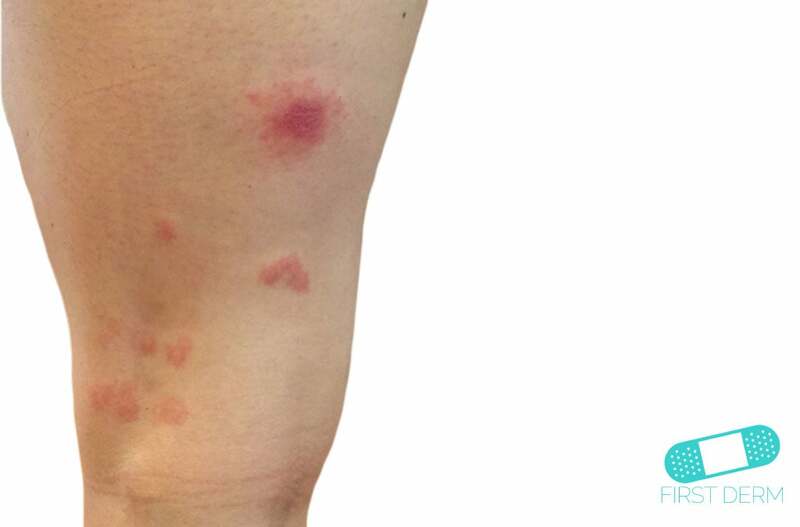 Insect bites, especially mosquito bites, are a common cause of itchiness and bumpy skin. Other bugs that bite or sting include bees and wasps, spiders, ants, bedbugs, mites, ticks and fleas. Bites may be painful, like a bee sting, or barely noticeable until the area develops an itchy red lump. They may show up as numerous tiny bumps or one larger bite. The best way of handling bug bites is prevention: When outdoors use bug repellant and wear long sleeves, long pants, and sturdy shoes. At home only open windows or doors that can be covered with screens, and make sure pets have been treated with flea and tick medication. Most bites or stings can be treated with first aid. Cool compresses or ice will relieve pain and itching, and pain medications or over-the-counter creams containing hydrocortisone can provide relief. It is important to be aware, however, that certain insect bites can be dangerous or spread disease. Some people are also allergic to insect venom, especially bee stings, and this can cause a medical emergency. If you or someone with you has been bitten and you notice symptoms such as severe pain, swelling in the lips or face, rapid heartbeat, or trouble breathing, get to a doctor right away. In addition, you should schedule an appointment with your doctor if you experience symptoms such as a rash, aching joints, or fever in the days and weeks after a bug bite. Psoriasis affects 2-3% of the population, causing patches of red, scaly, flaking skin that may itch. Sometimes the patch is raised and rough or bumpy. It can look silvery, and sometimes it can look like tiny red dots or blisters. These rashes can appear anywhere on the body, but are most often found on the elbows, knees, and scalp. Some patients also experience aching, swollen joints. In psoriasis, something triggers the immune system to overreact, and the top layer of skin begins to grow too fast. This causes the flakey, itchy patches. Mild psoriasis can usually be treated with special creams or shampoos that reduce symptoms and relieve itching. In more severe cases, a dermatologist will prescribe stronger medications, including prescription creams, oral medications that are taken by mouth, or light therapy. There is no cure for psoriasis. It can be irritating and sometimes embarrassing, but it is not contagious and can usually be managed well. Seeing your doctor is important to stay healthy and reduce your symptoms. 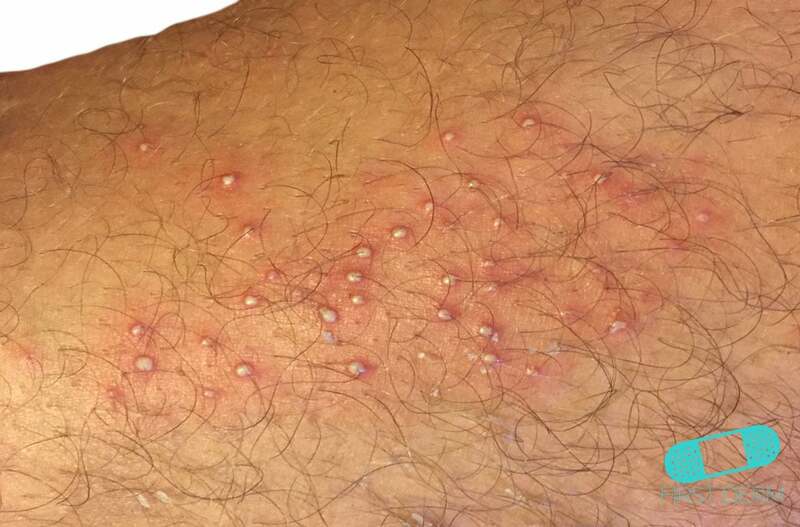 Folliculitis occurs when hair follicles become blocked or damaged, leading to infection and irritation that may become itchy or swollen and painful. It is common in the groin and pubic area, but may also occur in other places on the body, especially the face where shaving can introduce bacteria into the skin. It may look like a rash of tiny red or white bumps; infections deeper in the skin may look like large, red, inflamed lumps that weep fluid. The sores can be slow to heal or might keep coming back. Folliculitis is usually an infection caused by bacteria, but it can also be caused by fungus (such as yeast), viruses, or ingrown hairs. Folliculitis is caused by friction, shaving, or certain skin conditions that make you more susceptible to infection. It is not caused by poor hygiene. However, once you have developed folliculitis, keeping the area clean and dry can help speed healing. Hot compresses can relieve some of the pain and itching, and antibacterial creams can also help.  If home remedies are not effective, a dermatologist can drain large incisions and prescribe medications to treat the infection and reduce inflammation. 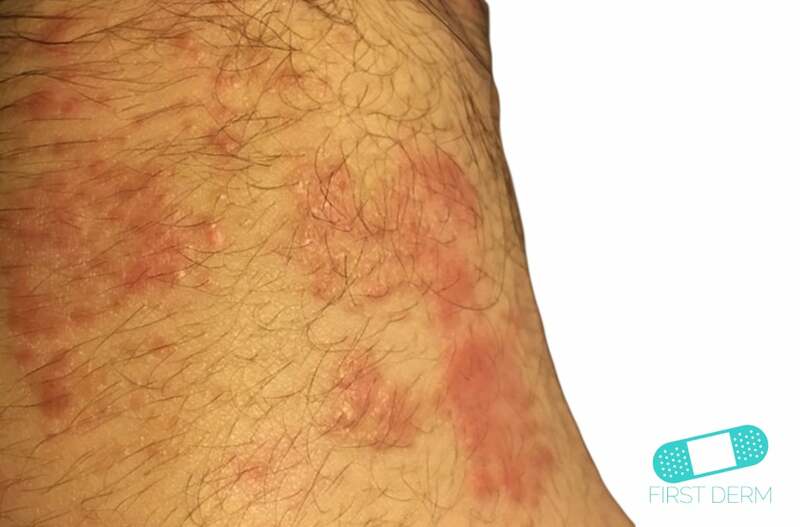 Scabies is an extremely itchy rash made up of many tiny, red sores or bumps, sometimes occurring in lines across the skin. The itching is intense and usually more noticeable at night. 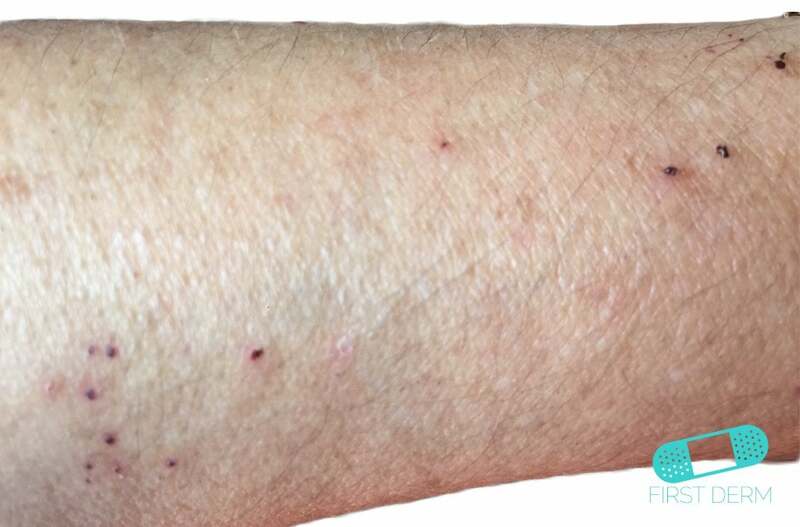 Scabies rashes can appear anywhere on the body, but are most common on the hands and arms or in areas closely covered by jewelry or clothing, such as the beltline. In some cases a rough, scaly patch can form over the rash. Scabies is caused by an infestation of skin mites, tiny bugs that are so small they are invisible to the naked eye. They burrow into the skin in trails, and proteins from their bodies or waste cause a significant, itchy reaction in the surrounding skin. It takes several days after becoming infected with mites for the rash to appear. Scabies is extremely contagious, and anyone who is in close contact with an infected person can catch scabies. It can be transmitted through skin-to-skin contact, or by sharing items such as towels, clothes and bedding. People who live together in groups, such as those in nursing homes or dorms, are at higher risk of getting scabies. If you think you have scabies, you should see a dermatologist right away. This is a common infection and not something you need to be embarrassed about. Doctors see scabies all the time and have medications that can treat it. The most widely used treatment is a cream that is applied over the entire body at night and washed off in the morning. Everyone who has been in contact with the diagnosed person should also be treated. Towels, clothes, and bedding should all be washed in hot water and carpets should be vacuumed well. Even though the medicine works right away, it can take up to four weeks for the rash to completely go away and the skin to heal. Actinic keratosis is one or more small patches of rough, grainy, or raised skin caused by damage from the sun. The spots start very small and can grow to an inch or more in diameter. They are usually red, but can also be pink or the same color as surrounding skin. Typically these spots are found on areas of skin that are exposed to the sun, such as the face, arms and hands, or a bald scalp. 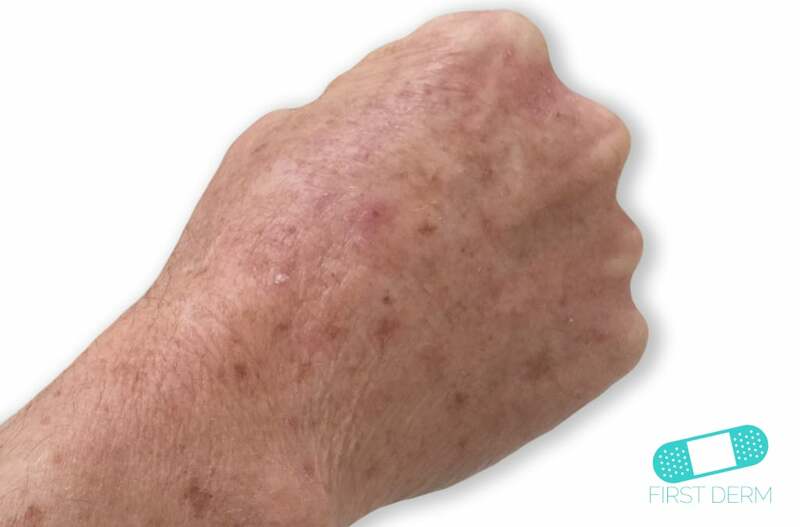 Older people are at higher risk of developing actinic keratosis simply because they have accumulated more hours of sun exposure during their life. Actinic keratosis should always be seen by a dermatologist, because if it is left untreated the sores have the potential to turn into skin cancer. If it is caught early, the spots can be safely and easily removed before they become problematic. The damaged areas can be removed by freezing, cutting them away, laser therapy, light therapy, or strong medicated creams. Your dermatologist will examine the sores and decide which method is best for you. These are just a few of the most common conditions that can cause your skin to become irritated, resulting in an itchy, red, or bumpy rash. Most of the conditions that cause itching and redness are not serious. But skin problems can be quite uncomfortable, and it can be difficult to figure out what has caused the rash just by looking at it. Seeing a dermatologist to get a proper diagnosis and treatment will make you much more comfortable, and in some cases it can stop you from getting very sick.